GLEEN Green Cleaning has a great offer. 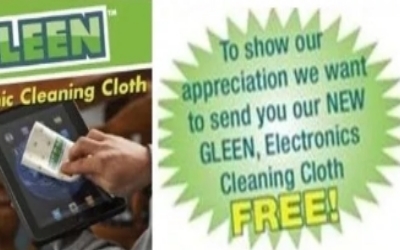 They are offering a free sample of their new green electronics cleaning cloth. Follow the link below to enter the company’s site, and complete the registration form, to claim a free sample, and exciting new offers. The Offer is valid for US shipping only and will expire very fast.